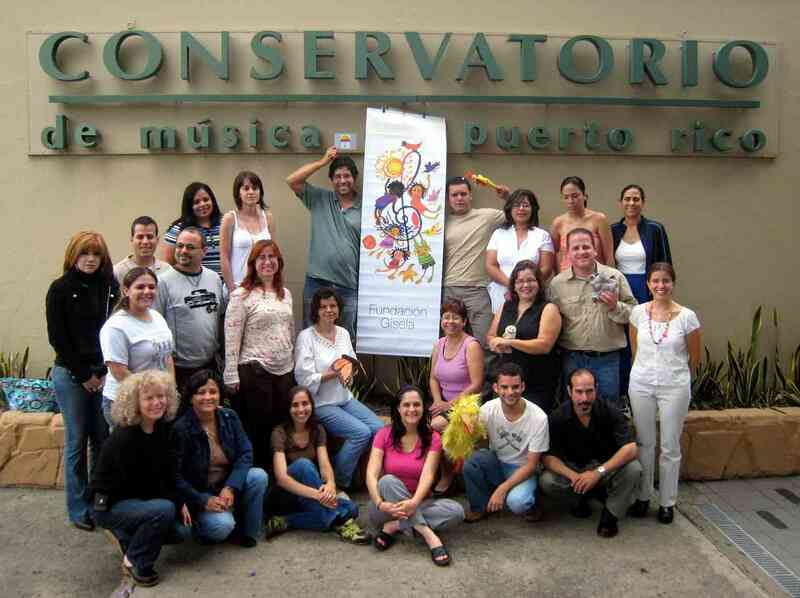 An Every Child Can course and a Kodaly Workshop organized by Marta Hernandez took place in San Juan from May 30 through June 1, 2008. These courses were sponsored by the National Conservatory of Music, the Centro de Estudios Avanzados de Puerto Rico y el Caribe, the Hotel Gallery Inn and the Gisela Foundation. 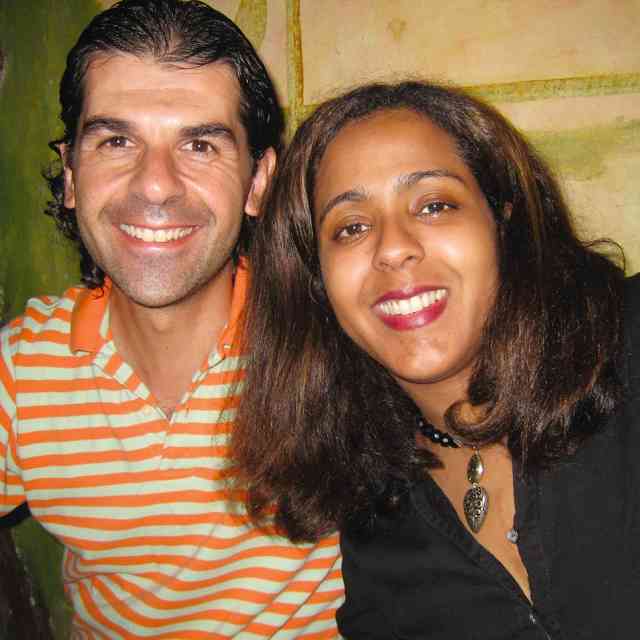 Gisela Inés Garcia was a very active and beloved Suzuki violin teacher who died in March, 2005, at the age of 32. The Foundation was formed in her name to continue her life’s work. It is remarkable how this act has truly kept Gisela alive in everyone’s hearts; Gisela’s passion for teaching young children is contagious. Everywhere I went I met Gisela’s friends and family who radiated pure joy when her name was mentioned, while supporting this project with enthusiasm and love. 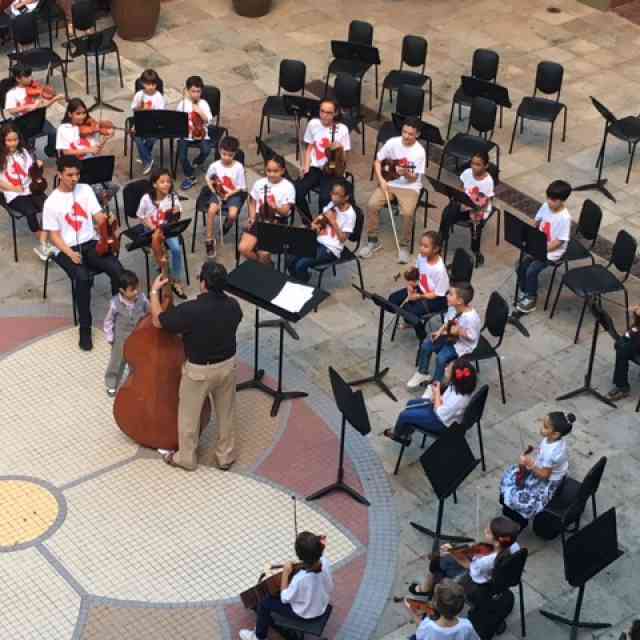 When Marta asked me to give a Kodaly workshop in Puerto Rico, I initially refused. I do not know a great deal of children’s vocal repertoire in Spanish and have not taught classroom music for many years. After much persuasion I finally agreed to give the workshop on condition that I could co-teach with someone who had the skills and experience I lacked. Marta agreed and I invited my colleague Lydia Mills to team teach. 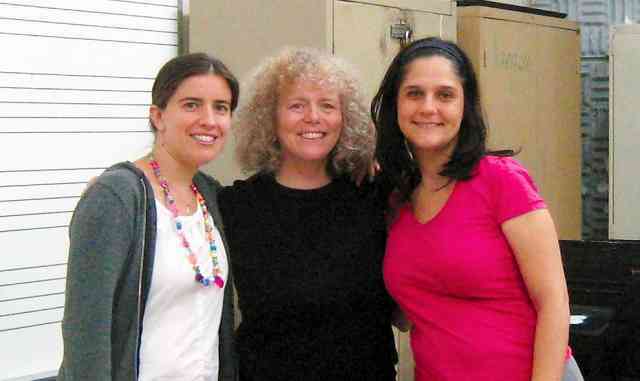 We had both studied Kodaly methodology for our Master’s degrees at Holy Names University in Oakland, California. 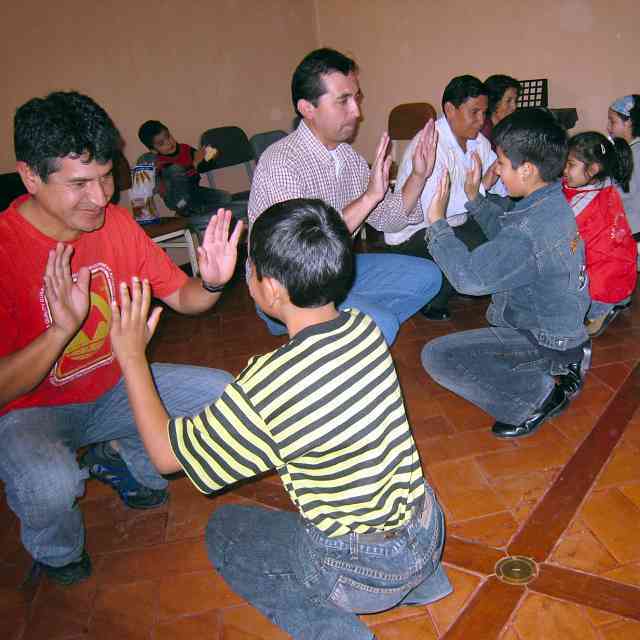 In addition, Lydia speaks fluent Spanish, has collected children’s songs and games from many Latin American countries and currently teaches using the Kodaly approach in an elementary school. The workshop was such a success that Lydia is now in communication with the national Conservatory, planning continued and more intensive teacher training courses in Kodaly, and hoping to invite a Hungarian teacher to join the faculty. It was a pleasure and an honor to be part of planting that first seed. Congratulations to Marta and everyone involved in the Gisela Foundation for your dedication and initiative. Thank you, Gisela, for your inspiration!